We have been having an amazing first three days! Our Kerem experience began with the introduction of Kerem planning committees. Our aydah (unit) was broken up into several groups to help plan activities for the whole machaneh (camp). Some committees will help plan zimriyah , while others will plan the breast cancer walk. 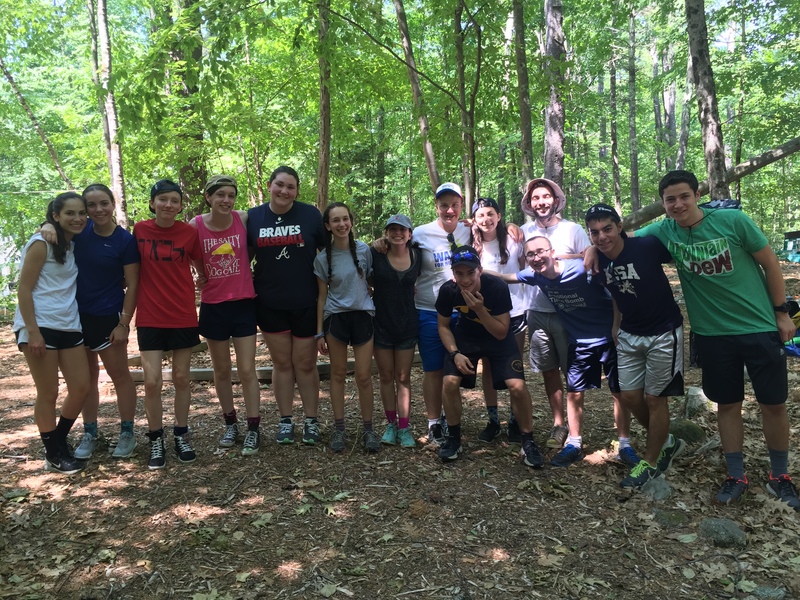 On Monday, we went to the Browne Center, a ropes course that promotes team bonding. 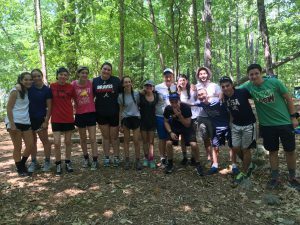 We were able to participate in high element and also low element team building activities. Everyone learned different strategies for working together as an aydah. (Shoutout to Joe for celebrating his 16th birthday with us on Monday!) On Tuesday, we furthered our Kerem experience by meeting in our committees. We then had a presentation from Keshet, an organization that advocates for the LGBTQ+ members of Jewish communities, which sparked invaluable discussion. Our peulat erev (evening activity), was mock-zimriyah, an activity where counselors wrote songs representing their aydot. As Kerem, we were able to choose criteria for the competition and then choose a winner. Finally, on Wednesday the rest of the campers arrived! Kerem welcomed the new families, unloaded luggage, and distributed luggage around the camp. We raised money for cancer research through the sale of Kippot and popcorn to families entering camp. Once all the chanichim were finally settled in, we cheered them on as they entered the cheder ochel (dining hall) for lunch. Later that evening, we met our assigned bunks for the summer. All of Kerem spent time with younger chanichim during their peulot erev (evening activities). It was really great to start bonding with the younger campers! Afterwards, we had our very first Kerem BBQ to celebrate all of our hard work!During the past few days, we have been preparing for the Kerem play, performed every summer by Kerem. We have been auditioning, and roles will be announced shortly. Everyone is having a great time, and can’t wait for the rest of the summer.